백제의 수도 사비를 보호하기 위해 쌓은 둘레 8㎞의 성이다. 부소산성을 중심으로 동쪽과 서쪽으로 자연지형을 이용하여 부여시가지 외곽을 둘러싸고 있다. 우리나라에서는 평양에 있는 나성과 함께 가장 오래된 나성 중의 하나이며, 웅진(지금의 공주)에서 사비(지금의 부여)로 수도를 옮긴 538년경에 쌓은 것으로 보인다. 성벽은 부소산성의 동문이 있던 자리에서 시작하여 금강변까지 흙으로 쌓아만든 것으로, 지금은 약간의 흔적만 남아있다. 성의 바깥쪽 벽은 급한 경사를 이루고 안쪽 벽은 완만하여, 성위에서 말을 달릴 만한 길이 있고 곳곳에 초소가 있다. 가장 높은 산봉우리인 필서봉에는 횃불을 올리던 봉수터와 건물터가 남아있다. 성안에는 백제의 왕궁을 비롯하여 관청·민가·절·상가 및 방어시설이 있었을 것으로 보인다. 나성의 전체적인 구조는 남쪽과 서쪽으로 금강이 흐르고, 또 물길도 파놓아서 자연적인 2중구조를 이루고 있다. 부여나성은 청산성·청마산성과 함께 수도보호를 위한 외곽방어시설로 중요한 성이었다. 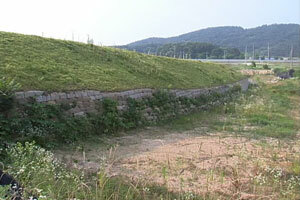 The outer wall of the city, called Naseong, was built to protect the capital of Baekje, Sabi. 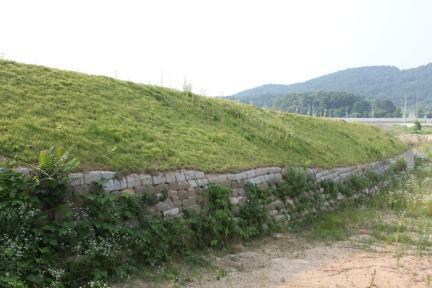 The wall around Busosanseong Fortress provided the natural defense in the east-west sides, encircling Buyeo City. This is one of the oldest Naseong, with the other one in Pyeongyang. 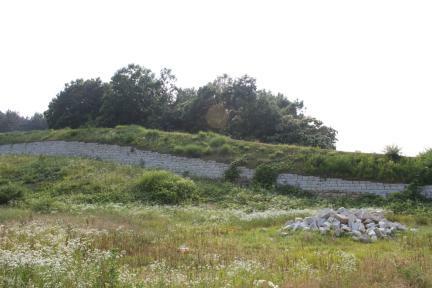 In 538 A.D., Baekje (18 B.C.-A.D. 660) moved its capital from Ungjin (present-day Gongju) to Sabi, which is now called Buyeo, requiring the construction of this defensive wall and its many guard posts. 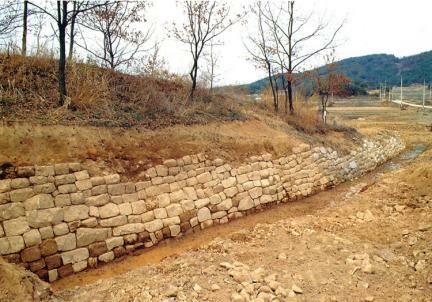 Made of packed earth from Busosanseong Fortress to the shore of Geumgang River, the wall has been so damaged but it was originally 8km long at first. The outer wall was steeply sloped, whereas the slope of the inner wall was gentle and wide enough to have a road to ride a horse. The inner wall was also guarded by guard posts on top of the wall. 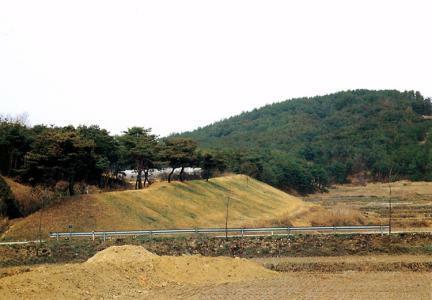 In the highest summit, Pilseobong, there are sites of buildings and a beacon mound to signal fire. There might have been palaces, government offices, temples, stores, houses, and defense facilities within the wall during the Baekje Dynasty. 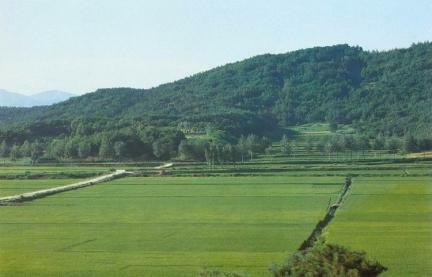 Geumgang River, flowing the south and the west of Naseong, provided a double defense system. 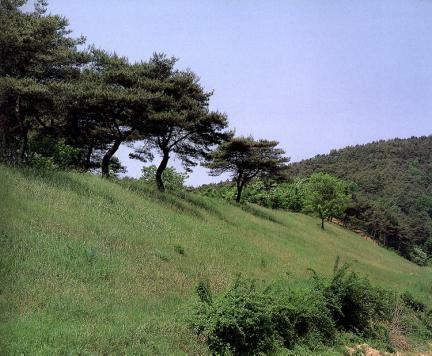 Buyeonaseong was one of the important outer defense establishments together with the Cheongsanseong and the Cheongmasanseong Fortresses.